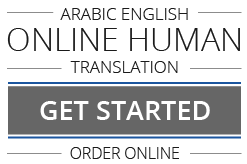 Our dexterous and proficient translators create highly dependable and excellent Legal Translation Services in Palestine and the Arab world. We are trusted and esteemed by an outstanding clientele of reputed legal offices and law professionals. Our linguistically authentic, and semantically precise Legal Translation Services in Palestine being the prime concern behind our wonderful Translation services in Jerusalem, Gaza, Ramallah and Nablus, we outperform all others in Arabic to English and English to Arabic Translation of Memoranda of Association, Laws, Powers of Attorney, Death Certificates, Academic Certificates, Arab Official Gazettes Tables of Contents, Deeds, Birth Certificates, Wills, Divorce Certificates, Court Pleadings & Judgments, Contracts, Marriage Certificates, etc.